For two years, in 2005 and 2006, Sainkho lived in Ireland. She was struck by similarities between these two countries and especially by stone sculptures from Boa Island and Tuva. She was also struck by mysteries of Ireland where old traditions blend with modern computer technology. 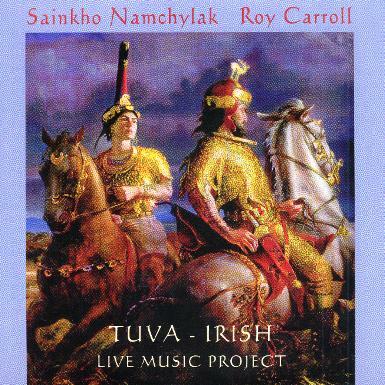 Tuva-Irish Live Music Project has been developing for two years. Roy Carroll plays the computer and both musicians programme electronics in such a way that compositions sound in an entirely new way each time they are performed live.